Prostore Secure Self Storage can provide all your storage requirements. It could not be easier at Prostore, as we provide the high security lock with your storage unit. We will also provide you with a gate security tag so that you can access your storage unit 24 hours, 7 days a week. With easy in and out terms you will never be short of space. We do not charge deposits for the lock and security tag unlike a lot of other storage companies.There are no hidden costs, you only pay for the days you are in storage. All of our sites have high security fencing, fully automated security gates with a monitored access tag system. All of our sites have full CCTV that is monitored 24 hours a day. We offer easy in and out terms at all of our sites. It is a minimum of one month rental and you only need to give us one weeks’ notice to vacate your unit. We will refund any overpayments without fuss. All of our sites have high security fencing, fully automatic security gates with a monitored tag access system. All sites have full CCTV that is monitored 24 hours a day 7 days a week. All clients have 24 hour access to their Self Storage units. 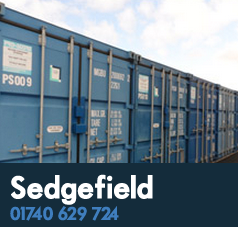 We believe we are the most cost effective Self Storage company opperating in the North East and North Yorkshire. 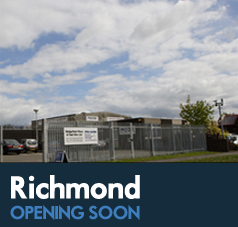 All our Secure Self Storage Units are perfect for both, Domestic and Business Users. Business users benefit from the storage unit being a, complete tax write off and no business rates to pay! 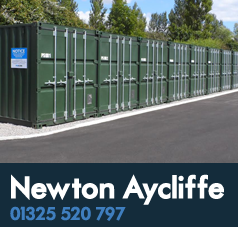 We believe that we are the most competitively priced storage company in the North East of England. How do I arrange storage? 0800 65 25 556 or Sedgefield on 01740 629 724 or Newton Aycliffe on 01325 520 797. Alternatively, use the contact form to send us your requirements and we will contact you.